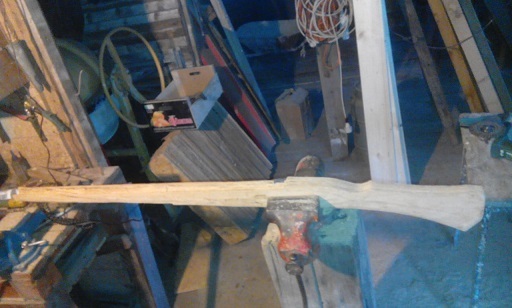 Some two years ago I´ve bought 6 semi-finished arquebuse barrels (app. 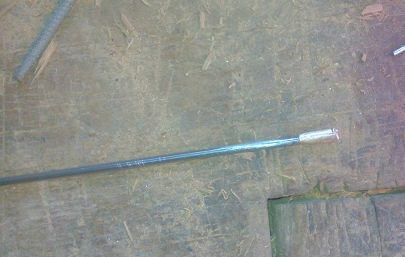 100 cm long, with 14-16 mm calibers) from a son of a deceased local blacksmith / weapon maker. They were only roughly shaped, without even touch holes drilled, etc. Last weekend I´ve finally managed to work on them. 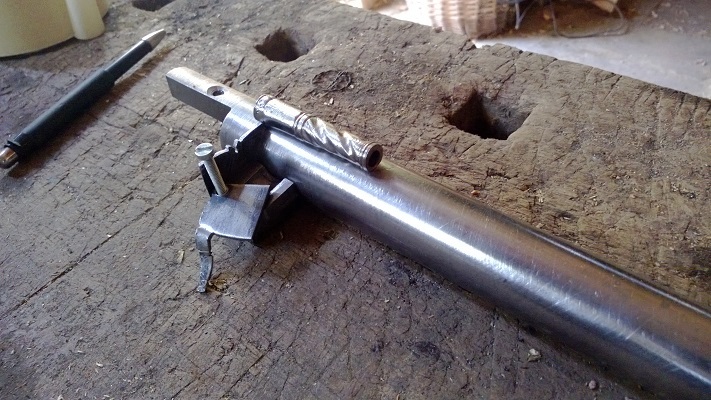 The plan is to create 3 fully functional matchlock arquebuses from different periods: a) first half of the 16th c., with serpentine matchlock and button trigger; b) end of 16th c. petronel type arquebuse (with strongly curved stock - this http://www.vikingsword.com/vb/showthread.php?t=16183 shows the overall shape); c) early 17th century caliver / schutzrohr / arquebuse that would be typical for German lands. So the work has started. First picture shows comparison of barrels as I´ve received them, and one semi-cleaned. They were cleaned on a lathe (parts with circular cross-section) and then by hand, using sandpaper. By cleaning then, I have also removed rough scratches from miller and lathe. The second picture shows them semi-polished (A - early 16c, B - petronel, C - early 17c, D - I-dont-know-yet:)) I will work on them more later, after attaching flash-pans etc. 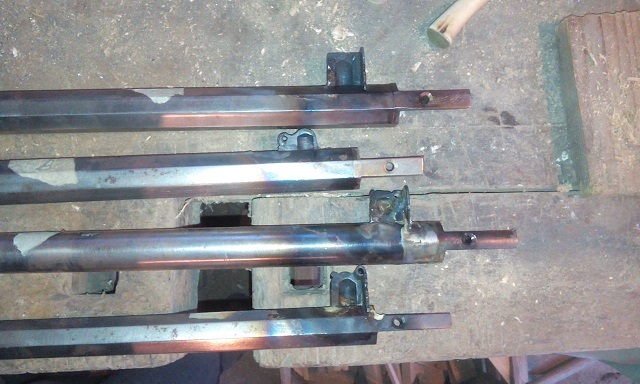 After that, I´ve drilled touch holes and holes for screws that will hold the back of the barrel to the stock (no pictures taken) and cut and shaped eyelets that will be soldered to the bottom of the barrels and secure then to stocks. 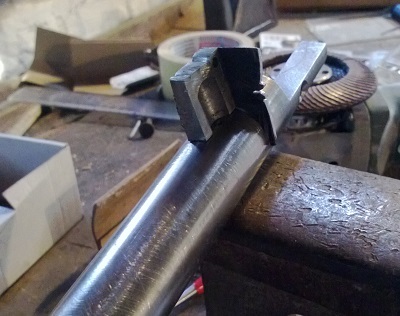 These are quite simple, just a piece of mild steel, 20*10*4 mm, with a hole in the middle (I will take pictures later). I have started to work on flash-pans. Obviously, these three different guns will have them shaped differently, but to simplify my work, I wanted to make some "generic" piece that could be shaped later. 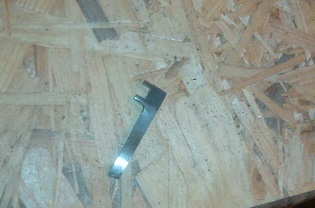 Given my limited access to tools (no miller), flash-pans were a hard nut. 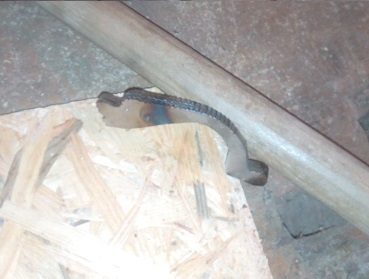 I came up with following: I took a piece of mild steel with square cross-section. 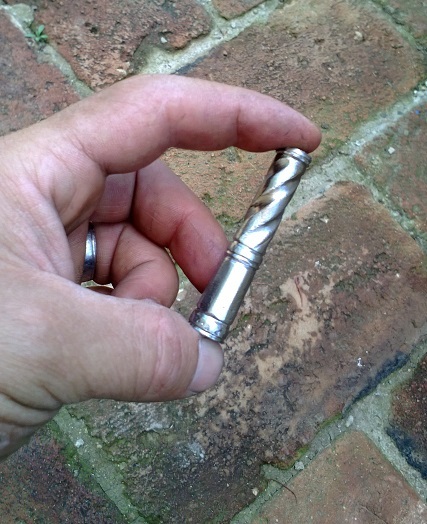 I have drilled a hole (12 mm diameter) app to two thirds of its length. 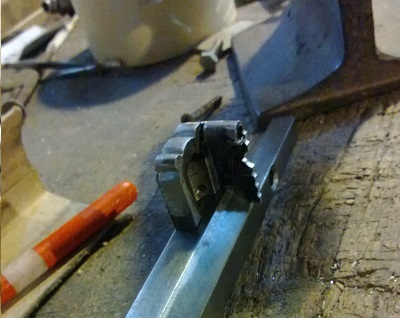 Then I´ve cut it in half, alongside the hole - and I had two rough stocks for flash-pans. I tried to sketch it on picture 3, and the last picture shows the cut pieces. It´s not perfect, but I will have to do for now. 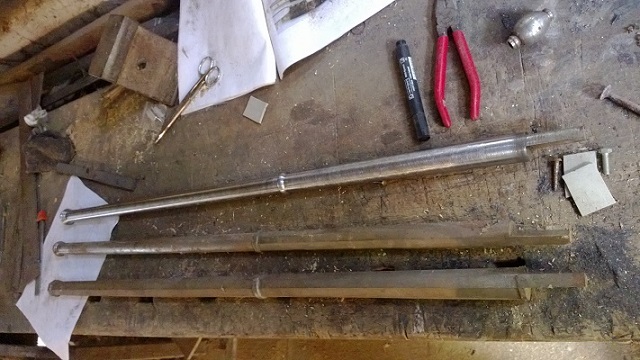 Next steps: shaping the flash-pans, and soldering them, together with eyelets, to barrels (soldering will be done by a friend of mine, who is definitely much better in that). And I just love early firearms! Thank you, Bjorn It will be a challenge! I did not have much time to work on this in last few days, so there are not many updates. I´m working on flash-pans, and they are roughly finished. Obviously, each one have a different shape to fit to its period. 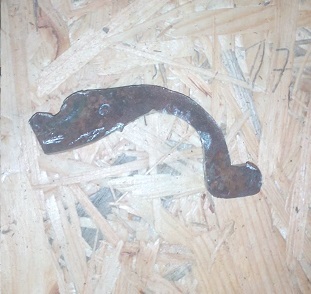 The one on the picture will go on the 17th c. caliver. It´s just a rough work, I hope to add pictures of cleaned pieces after this weekend. 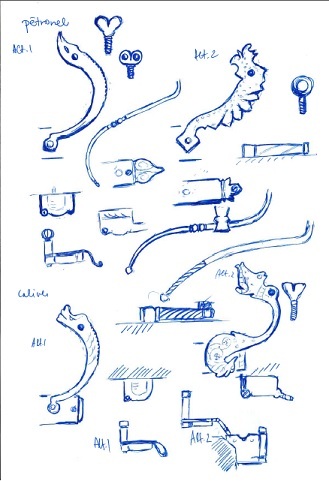 I did not have much opportunity to work on this project, so I´ve at least made some concept drawings of different lock elements. All are based on surviving period pieces, even though I´ve sometimes combined design elements from two or three lock (from the same period, of course) into one. I still need to design something for the earliest arquebuse. After finishing flash-pans for petronel and caliver, I´ve started working on tubular sights (I hope it´s the correct term). 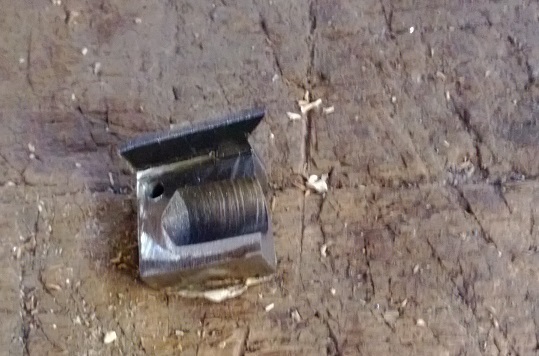 I have used a piece of old soft-steel, turned on a lathe the basic design and cleaned it with sand paper (still on lathe), and bored the hole (picture 1). 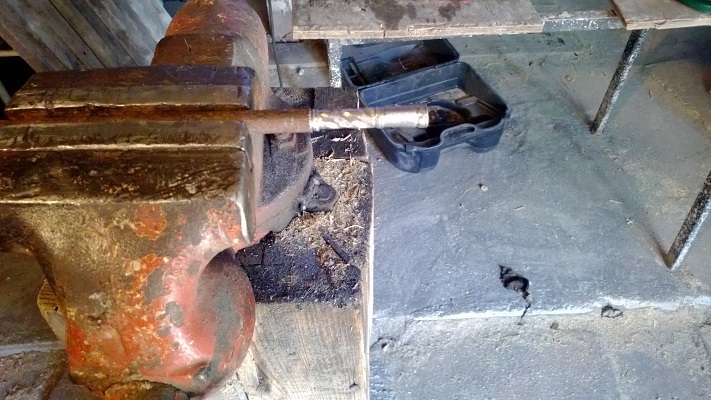 Then, the spiral grooves were made with hand-files (I shall definitely buy a Dremmel tool:)), and the whole thing was cleaned (sandpaper, then brass brush) and flattened on one side, where it will be soldered to the barrel. 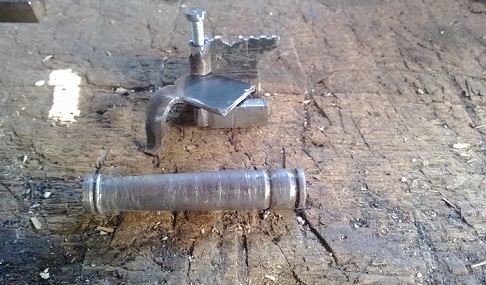 Picture 2 shows the sights and the pan on the barrel (of course, I will make another screw for the pan cover). I have one question: I am planning to do the petronel a little bit more decorated. Have you ever seen brass/copper/bronze decorations on tubular sights of existing pieces, such as a narrow band around the muzzle? I have finished sights for the petronel. 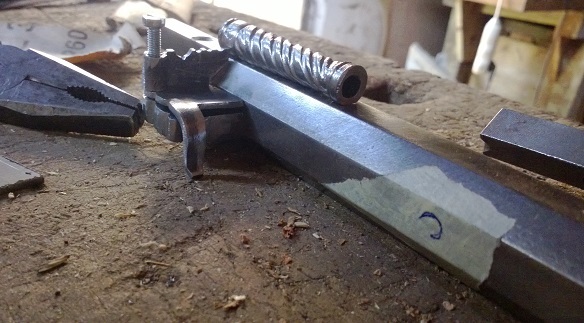 As I said, this arquebuse should be little more decorative, so I´ve tried a more complex design. 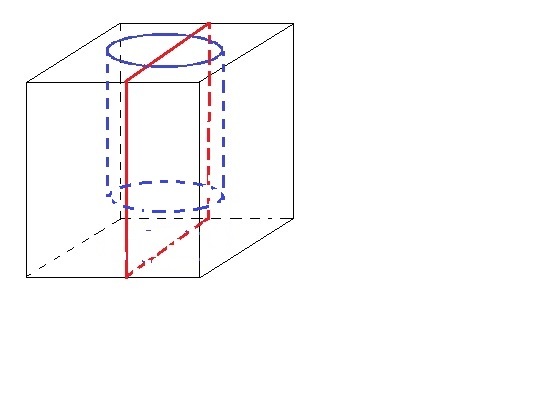 The rear half has a hexagonal cross-section, and the front side a circular one, with four deep spiral groves. All was done on lathe and with hand files. 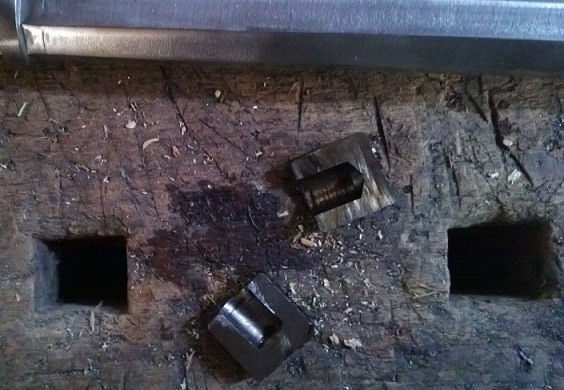 Picture 1 shows it half through the filing process, the second picture shows the whole set before the final cleaning with sandpaper and brass brush, and the last one shows the sights after cleaning and polishing. 'tubular sights' as in, sights to look through while aiming??!! Sights were very common on 16th- and 17th-century long firearms. Don't be misled by the lack of sights on the Brown Bess and some other standard-issue military muskets from the late 18th and early 19th centuries -- this absence lasted for barely a century and was never universal (since hunting and target rifles continued to have sights, and many standard army muskets had them too). I find the prevalence of these tubular sights curious, though, since the sight image they produce can be quite dark (though quite sharp). They're really nice for shooting in bright daylight but it could take considerable effort to spot the target (and the front sight) in the early morning or late evening. 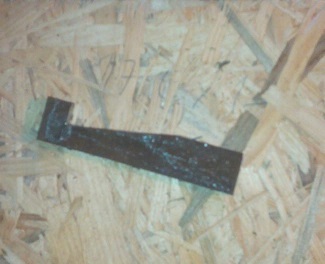 - Basic shape was cut from a piece of soft-steel, 5mm thick (picture1). Anyways, more will follow (hopefully) soon. Some new steps were made last Sunday. I was working on the trigger mechanism. First, I´ve made the lever that guides the serpent - picture 1 shows the inside of the plate (the plate used is still only a "construction plate", not the one that will be used on an actual arquebuse); picture 2 is pretty much the same, only that the lever is already bent, with a hole drilled and threaded for future trigger. I´m working on this super-slowly, as I had to move with some other projects etc. 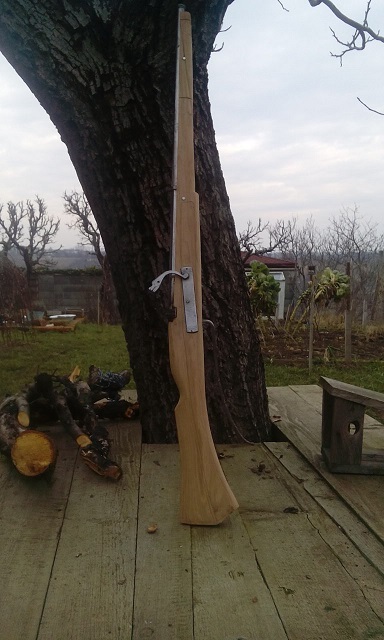 Anyways, one matchlock mechanism is now finished (will post pictures later), I´ve done some work on barrels, and started to work on stocks. 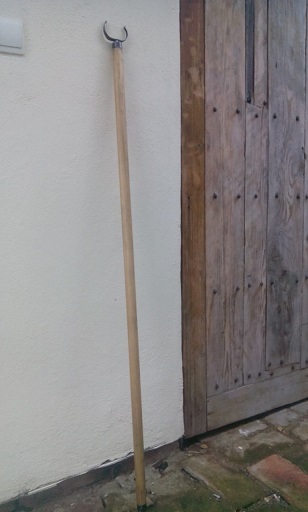 I was lucky to find a good local supplier of hardwood planks, so I took some well-dried oak. At first, the rough shape was cut with a circular saw, which was hell of a work, as the plank was 10cm thick and really hard. 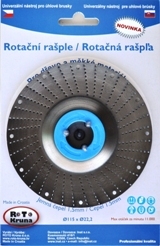 Then I´ve shaped it with hand-saw, rasp, and a rotating rasp for angle-grinder: http://www.rotacnirasple.cz/sites/default/fil...15mali.jpg (I have discovered this instrument only recently, and it´s really helpful for rough work). The picture shows the result. 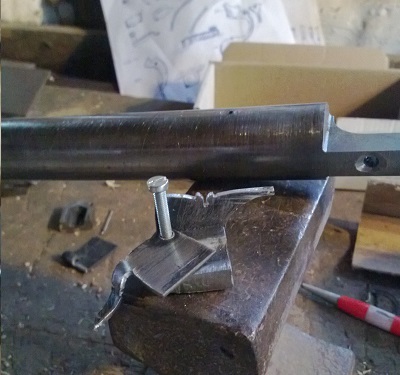 After that I´ve bored a hole for ramrod, working very slowly and carefully with drill & a ling bore. Still I went some few mm off-center, which is not tragic, but I have to find a different method for the next stock. Now I´ve started to make a channel for barrel. 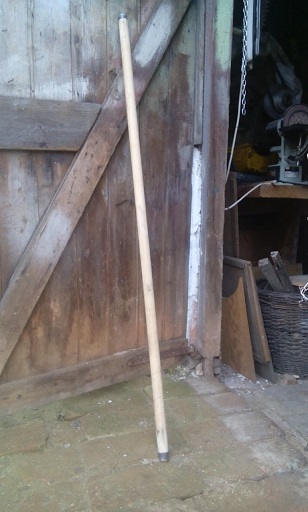 I have seen on youtube that there are some specialised instrument, but I work only with what I have = chisels. I will post some (better) pictures in coming days. 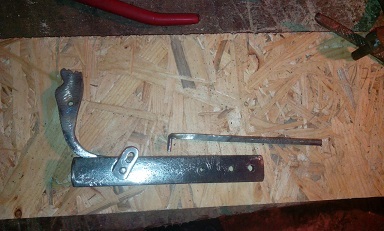 a small update: picture of a finished lock mechanism. It still needs some polishing, but that will be done once I finish the rest. Also, the trigger/lever will be bent later, when I assemble it on stock. I managed to work on the stock, so here are some update pictures. 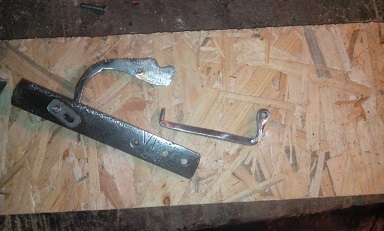 First two show some rough shaping with rasp, the result is on the third one. 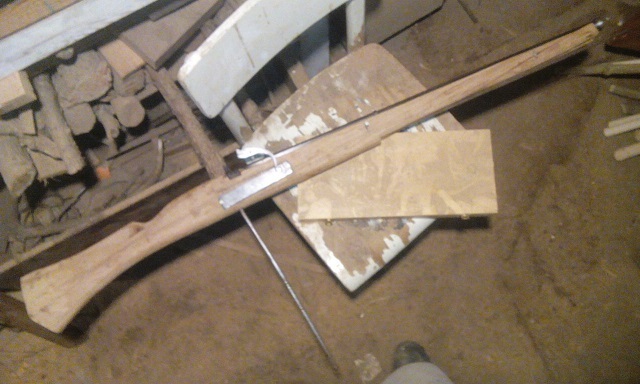 After finishing that I have fine-tuned the channel for a barrel, and fixed the barrel to the stock. Next I started to work on in-letting the lock. 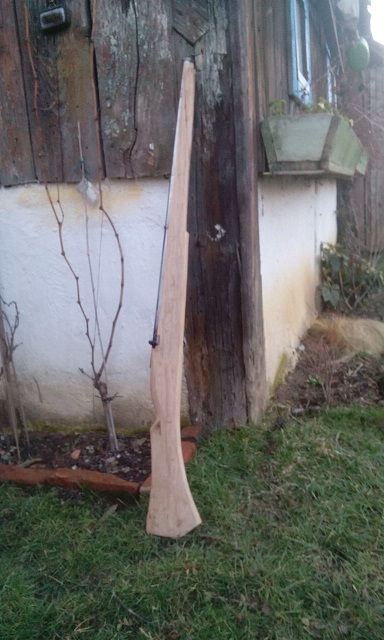 That proved to be quite painstaking process and at one point I thought I have ruined the whole stock - the part of stock around where the barrel ends is quite "packed", many things have to fit there: the thickest part of the barrel, the lock, the end of the ramrod. 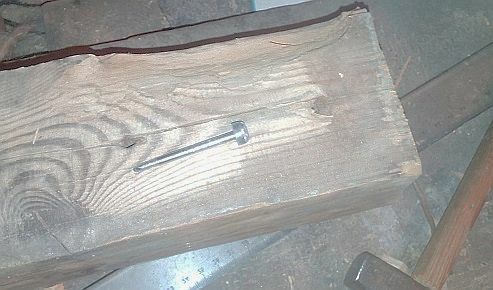 Fitting everything there, while you don´t want to weaken the wood too much, was more difficult than I thought. However, I worked slowly with chisels, and after some 2-3 hours somehow managed that. The last picture shows the whole thing assembled (the trigger-lever is still not bent). I´m sorry for crappy pictures, I will try to take better ones on daylight. Now I still need to get back to the lock (I want to alter a bit the angle of the serpent), work on some details and clean the whole thing. This weekend I have worked on some details. First, I needed two screws that would go through the stock and hold the lock-plate in place. I needed some that are relatively thin (4mm in diameter), long (5+ cm), and with a big oval head heads, like on originals. 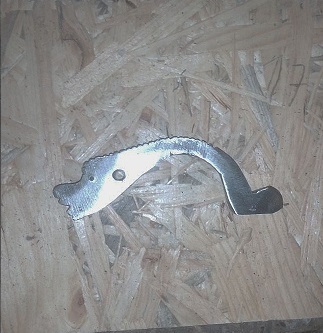 As I did not have any screws that would fit that, I decided to make some. 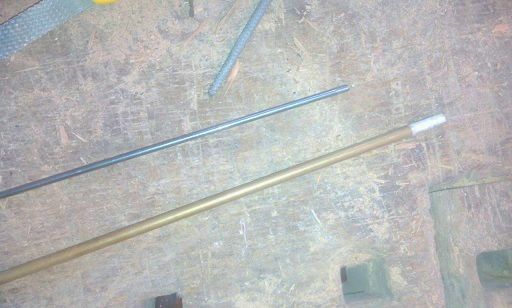 - I took a big nail, and threaded it on one side (picture 1). 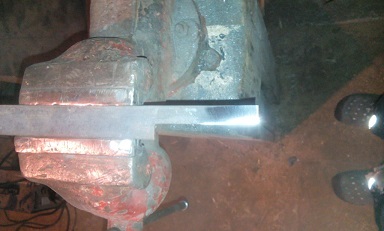 - Then I´ve cut a small cylinder from from a soft steel (12 mm in diameter), and drilled a hole in the center (picture 2). 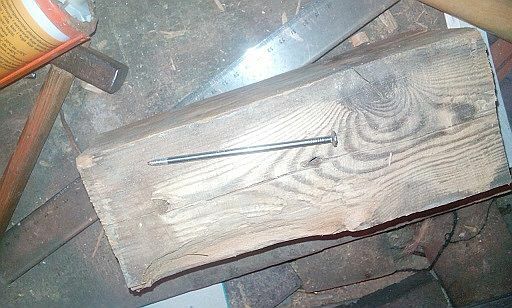 - I´ve cut the nail to a proper length and attached a head to it (both were threaded, screwed-on, and secured by soldering). Looks like a great project - thanks for taking us along! 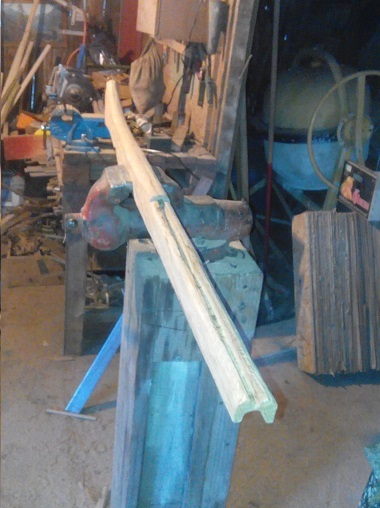 The next step was to make the musket-rest. As I understand it, there were basically two methods of attaching the U-shaped holder to a wooden rest: either, it was made from a one piece with a cap, like on this piece http://www.bonhams.com/auctions/21020/lot/4228/, or it was just "stuck" into the wooden rest, like on picture 1. I´ve decided for the later option. 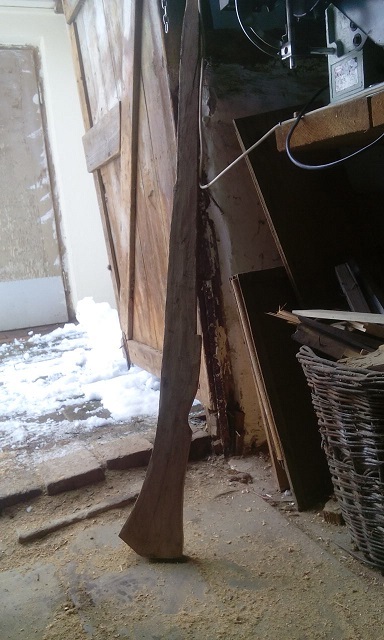 First, I´ve cut a piece 130 cm long from what has originally been an old broom handle:) I´ve cleaned it, shaped on both ends and added metal bands on both ends (picture 2). 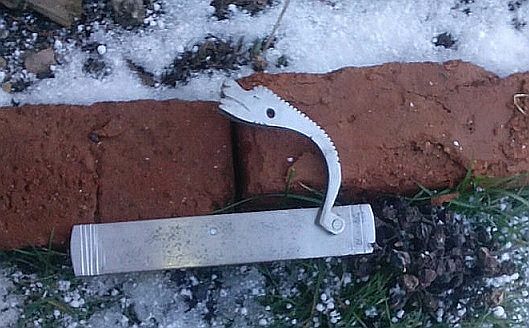 Then the U-shaped holder was made from a piece of soft steel, with a spike protruding from the center. 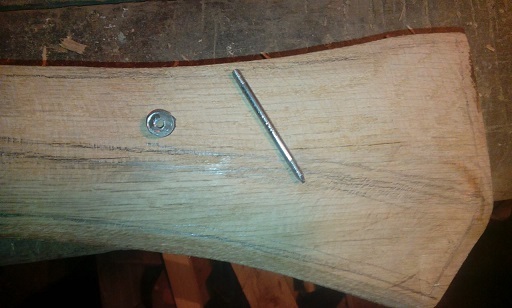 This has been crammed into a hole drilled to the one end of the wooden rest. 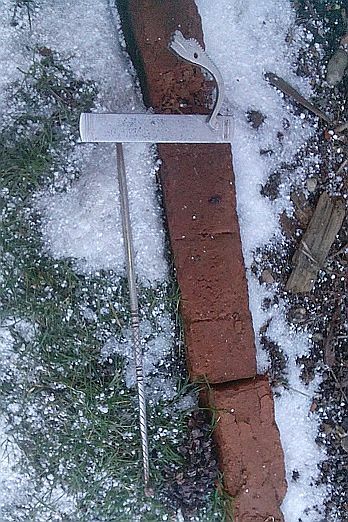 Similarly, a short steel spike was hammered into the lower end. 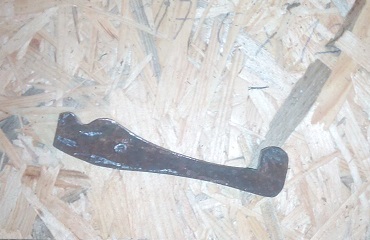 After coating in oil, the musket fork-rest was done (picture 3). And the last thing that was finished on weekend was the ramrod. It´s made from a soft steel bar (originally it would be made from wood, and I´ll make a new one when I get to a suitable piece of hardwood). - And a brass cap was made from a thicker brass bar. It´s been screwed on, and secured by soldering (picture 2). After that the cap has been shaped and cleaned.